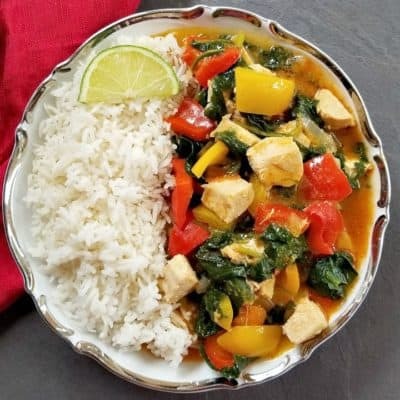 You won't believe there is no meat in here! 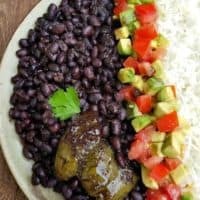 These Vegan Cuban Black Beans are my all time favorite vegan dish. 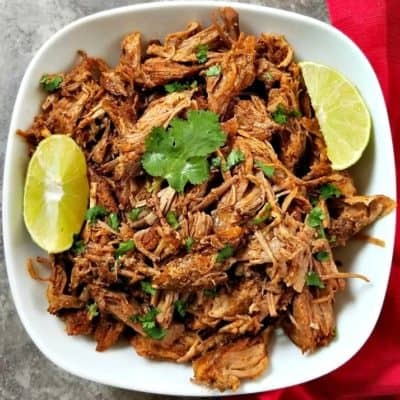 We eat this weekly in my house and serve them with jasmine rice fresh cilantro and limes. 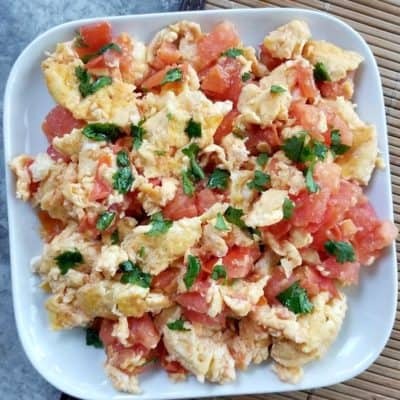 If you have never had this dish before then I encourage you to give it a try because it’s super delicious and not to mention a healthy meal the whole family will enjoy! 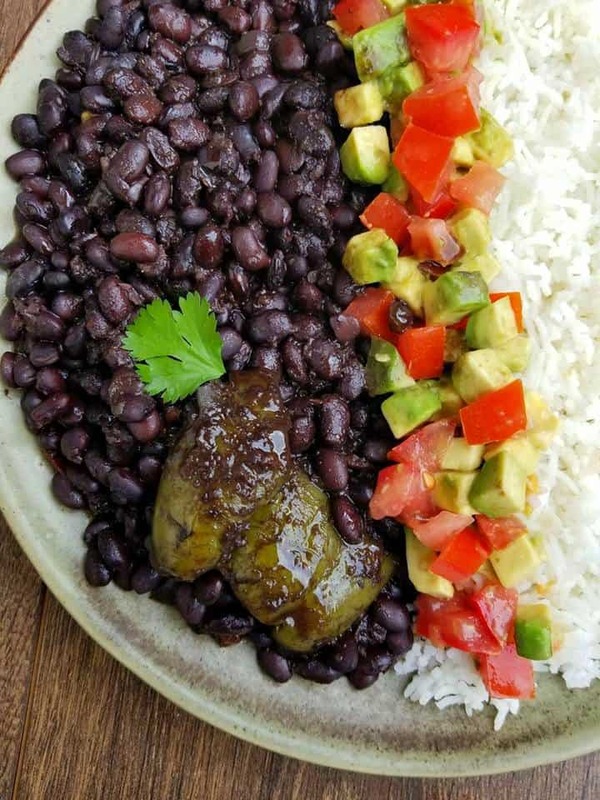 In Cajun and Creole cuisine the hearty black bean has become a staple food and I can see why. 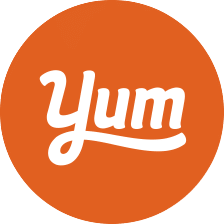 It’s meaty and jam packed with nutrients. 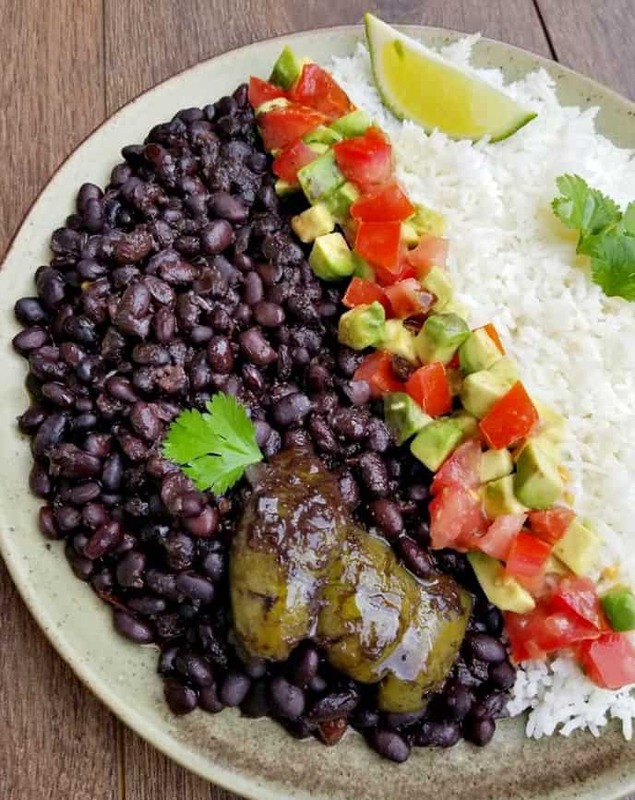 When cooked right these black beans have a meaty flavor, making them a very popular bean in the vegan/vegetarian community. 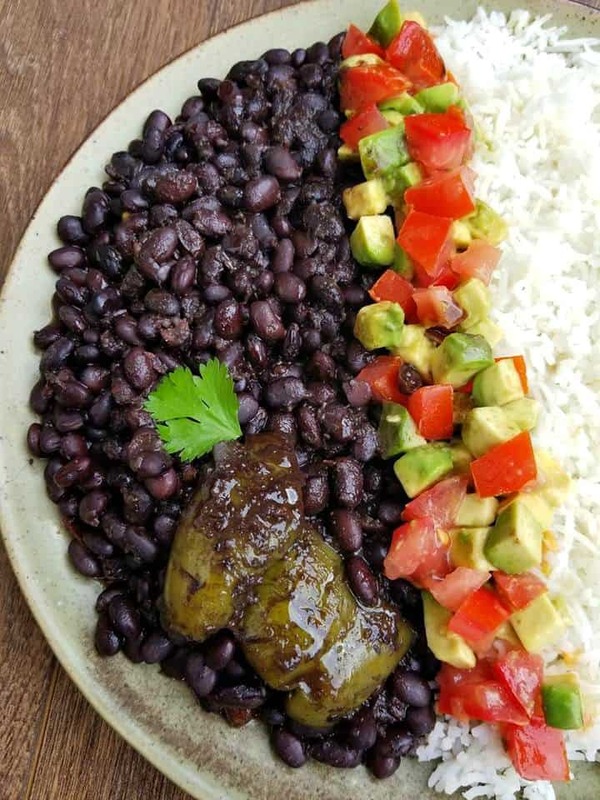 If I have enough time, I prefer to use uncooked black beans for this recipe. So I will soak my beans overnight to ensure they cook properly the next day. 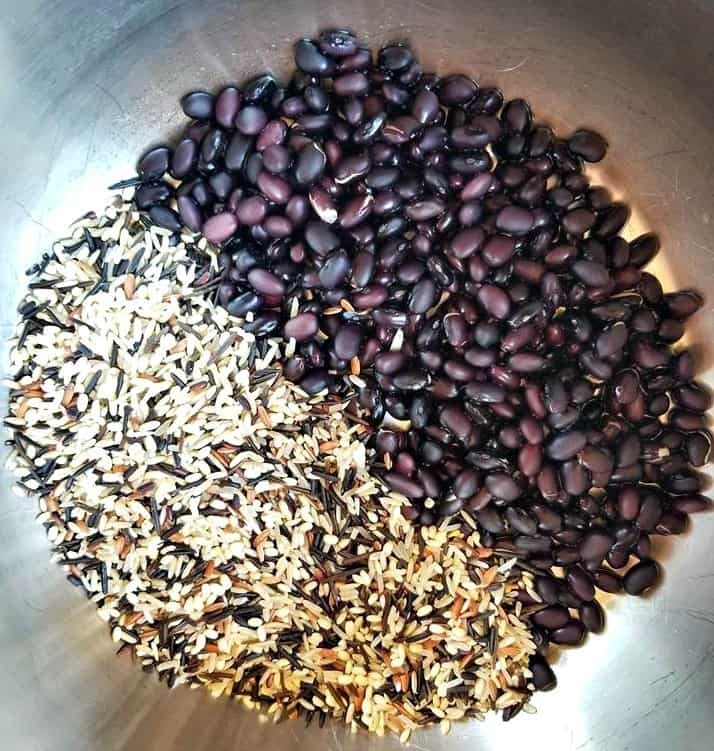 To soak black beans you will want to cover them in about 10 inches or more of water overnight and place them in the fridge to ensure they don’t ferment. 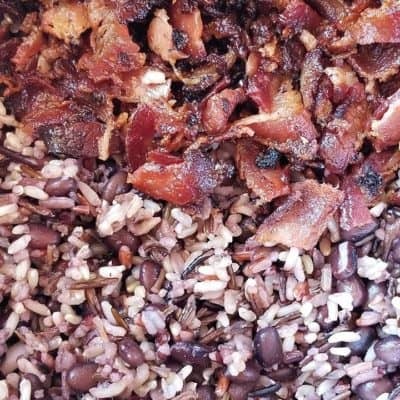 However soaking the beans is not necessary since you can always purchase pre cooked canned beans which work just as good. 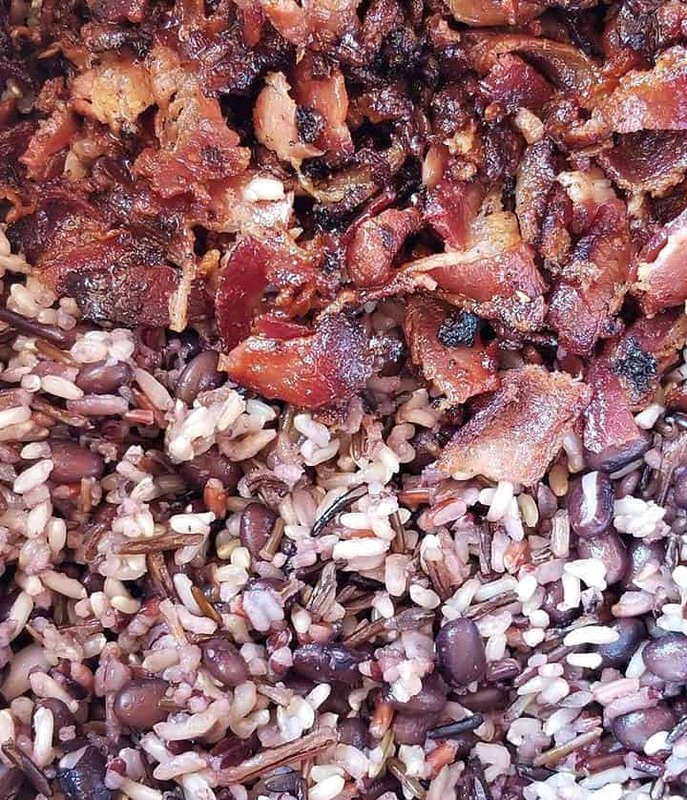 If you are soaking the beans overnight like I do, just make sure to rinse them several times before soaking. This is because you are going to want to use that bean water in the cooking process. 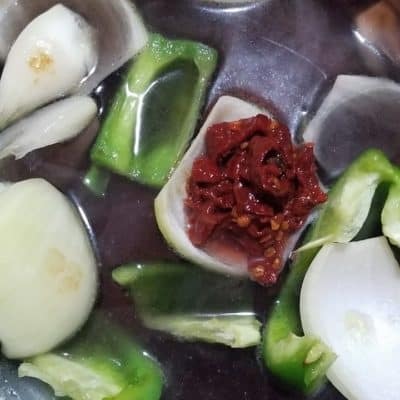 Notes: If soaking uncooked beans overnight, be sure to place them in the fridge otherwise they may ferment on the counter and have to be discarded. 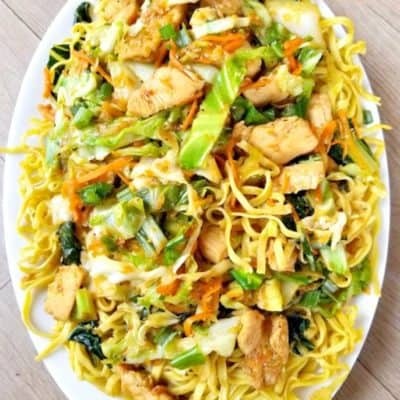 I use a non-stick wok to prepare this recipe see that product below. 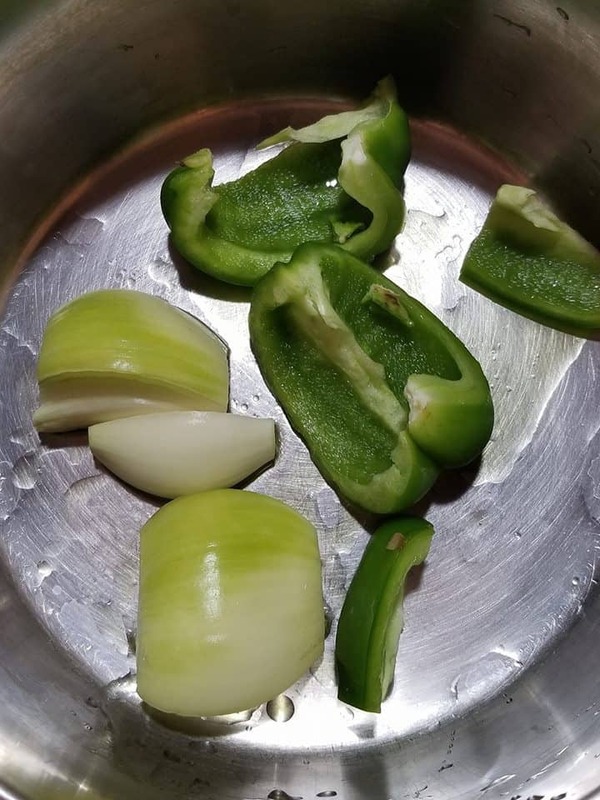 In a large pot add 2 tbsp of olive oil and the quartered onion and green pepper. Over low - medium heat add in the crushed garlic and saute for a couple minutes till fragrant. 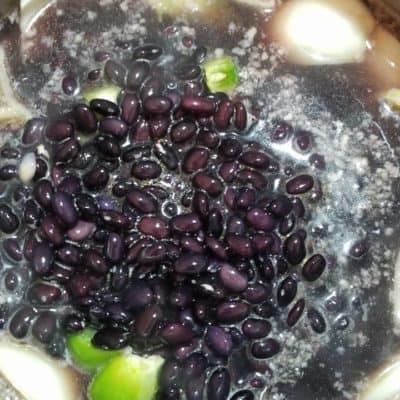 Pour in the black beans and the liquid that remains from soaking them overnight, otherwise add the liquid from the canned beans. 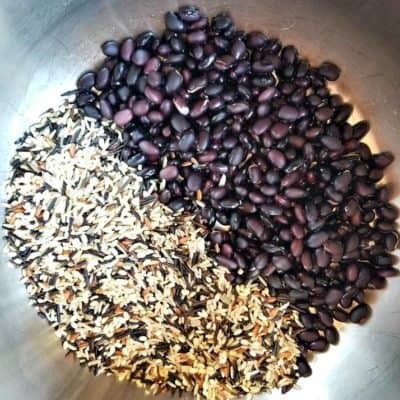 Cover the beans with at least 6 inches of water for uncooked black beans and 3 inches for canned. Add in all the seasoning sand chopped adobo peppers at this time as well. Simmer on low - heat for one hour the uncooked black beans till tender or 30 minutes for the canned beans. 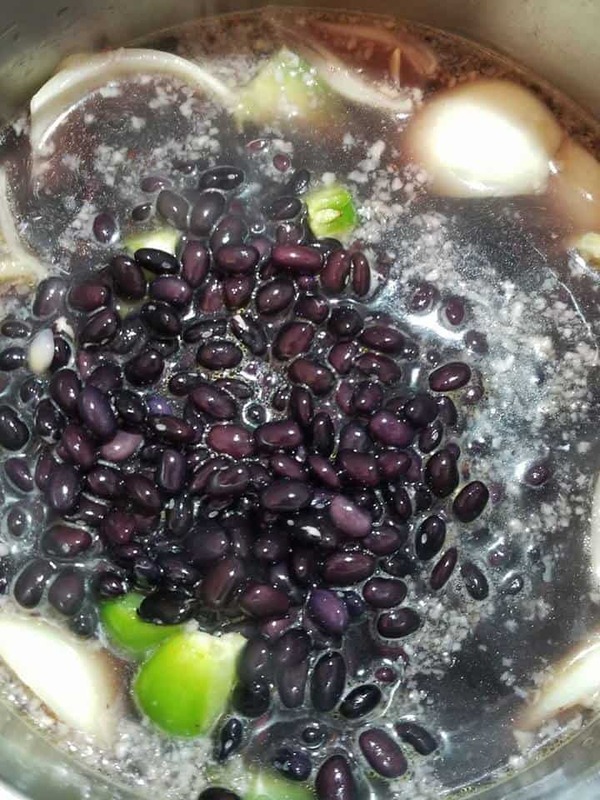 Once the liquid has near evaporated and the beans are tender there done. Keep an eye on them since you may need to add more liquid if there not fully cooked. Meanwhile, chop the tomato and avocado and cilantro season the avocado and tomato with salt and set aside. 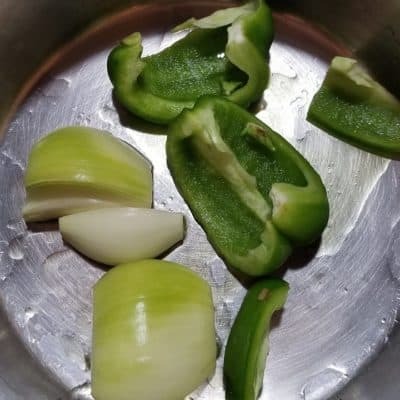 Once the beans have cooked fully, remove the onion but keep the green pepper for serving. 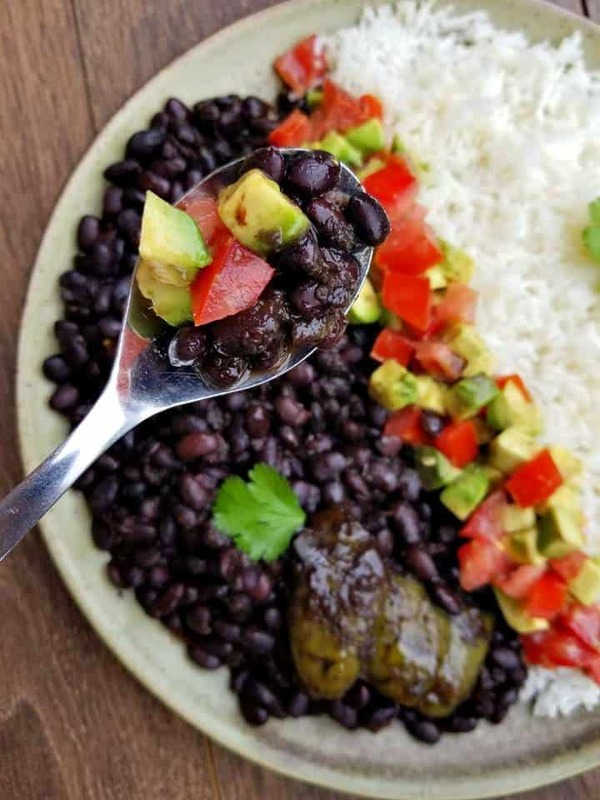 Plate up with your favorite white rice and drizzle the juice from one lime over the beans. Enjoy! 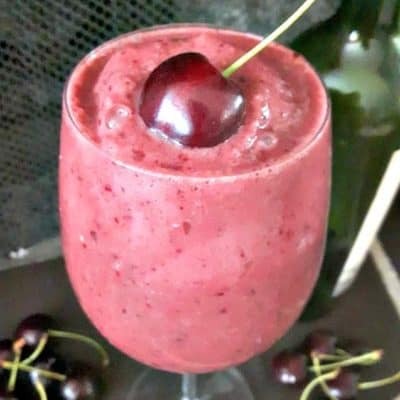 I have a couple of questions – I am making this now and it certainly is easy! 2). It doesn’t say what to do with the chipotle peppers. I chopped them and added with the seasonings so I hope that is correct. 3) Are the cloves of garlic supposed to be minced? 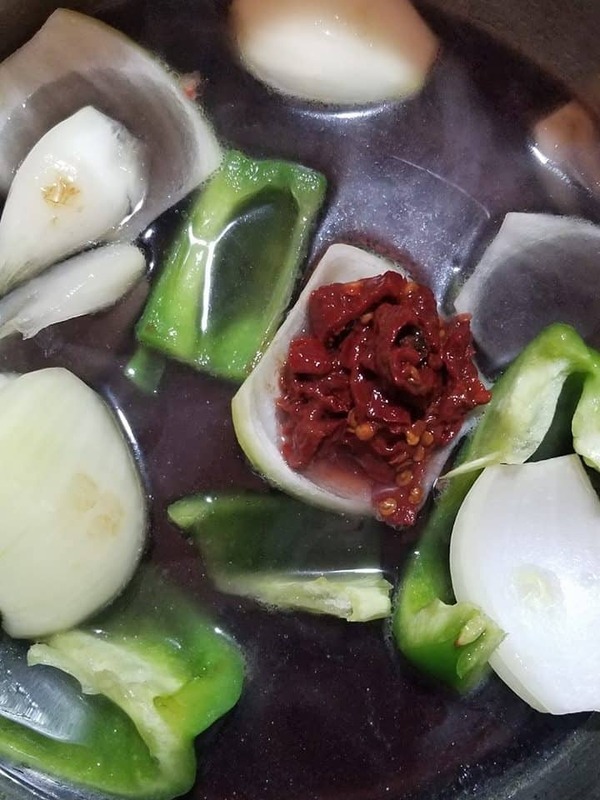 I presumed so but one of your pictures shows a whole clove of garlic in the pot with the peppers and onion. 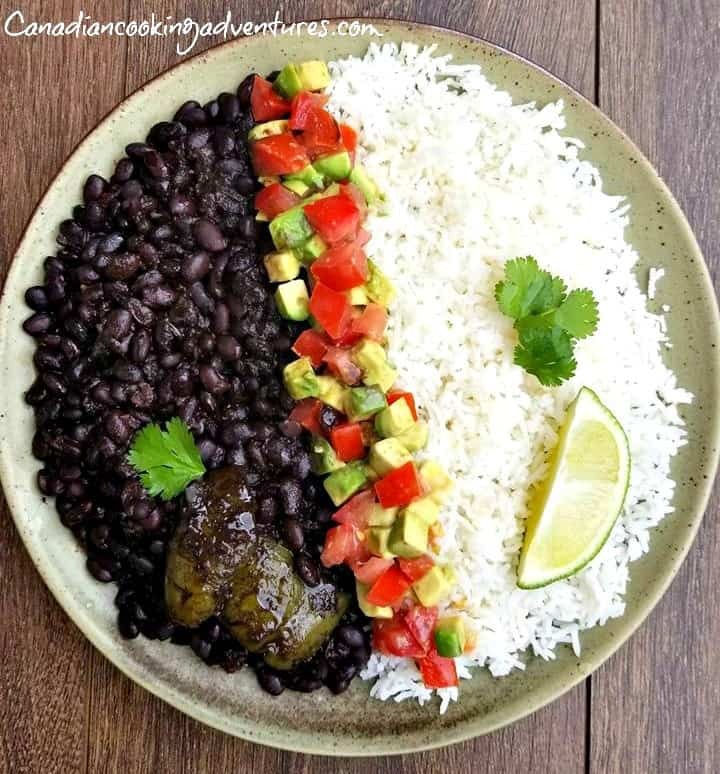 4) this is probably a dumb question but do you chop the cilantro and then sprinkle over the beans? 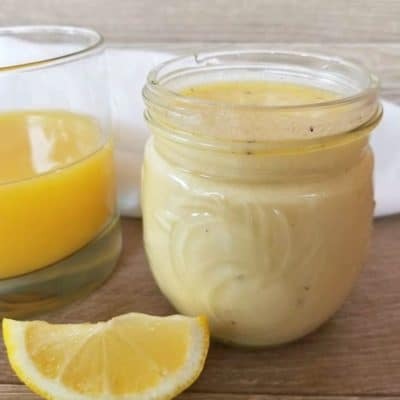 The picture seems to indicate that but it isn’t mentioned in the recipe. I am looking forward to eating this – just waiting for the water to evaporate down! 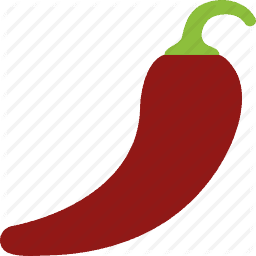 I also add a bean conversion link to the post to help with deciding how many to use. Your looking for ruffly 2 cups of cooked beans, so 2/3 cup of dry or 2 cans of cooked. Garlic is suppose to be crushed/minced and that direction is put in step 1. 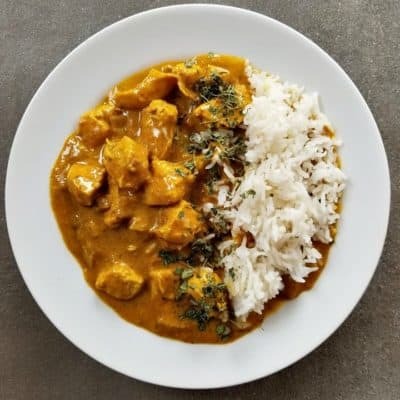 As for the cilantro I just did that for looks, it’s optional to add however chopping it and then sprinkling over would be best. I hope it worked out for you!